Little Tikes Activity Walker Just $19.83! Down From $40! You are here: Home / Great Deals / Amazon Deals / Little Tikes Activity Walker Just $19.83! Down From $40! Head over to Amazon to score this Little Tikes 3-In-1 Activity Walker for just $19.83 down from $39.99 PLUS FREE shipping with Amazon Prime or for orders $25 or more! Light the way to active play with the Light ‘n Go series of toys, designed to use light to inspire your baby to get moving. The 3-in-1 Activity Walker is a walker, standing activity table, and sit & play activity center all in one. 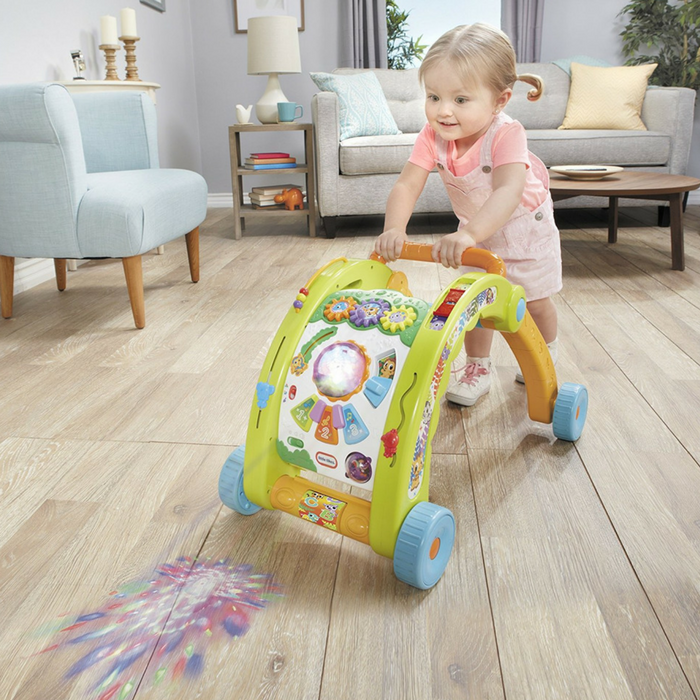 The walker’s projected lights encourage your baby to take their first steps as they grow with this interactive toy. Featuring 70+ activities, songs, and sounds, the 3-in-1 Walker and Activity Table provides hours of fun for years to come.